Every year, it seems like more and high-end merch from Nintendo lands on the shelves of Toy Fair. 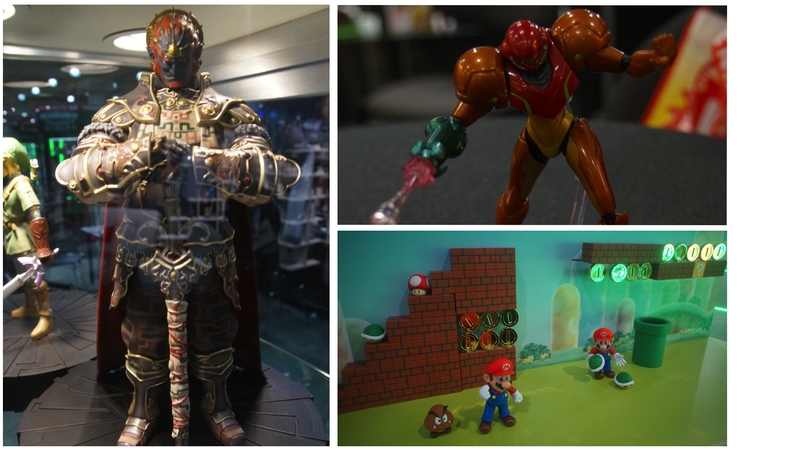 Once again, Kotaku hit the annual trade show in New York City and, this year, we might have seen some of the most beautiful sculpted versions of the company's characters yet. Look at these figures of Link and Ganondorf as they appeared in The Legend of Zelda: Twilight Princess, for example. The detail on the Ganondorf figure is enough to make you quake in fear unless, of course, you've got the steely determination of that Link figure. The Twilight Princess pair will be coming from Dark Horse, who are distributing them in the U.S. after they've been previously available elsewhere. Then you've got a great Super Mario set from Bandai, complete with Goombas, bricks and pipes. Finally, Good Smile Company—who've been making import toys fans drool for a long while now—show Luigi some love, along with a too-cute Wind Waker Link and well-done versions of Samus in both her Zero Suit and Power Armor.